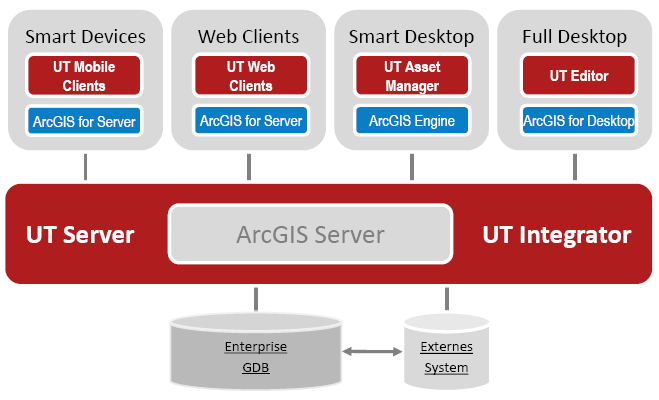 UT Product Suite is a professional product suite developed by AED-SICAD in Germany that provides solutions for the utility (water/wastewater, electricity) industry, which combines profound process and industry know-how with the strengths of the ArcGIS platform. With UT Product Suite, utility companies have a versatile and powerful platform for all spatial processes (e.g. network documentation, meter walks, planning & design) – both within the companies themselves and with enhanced value added from services for external users. 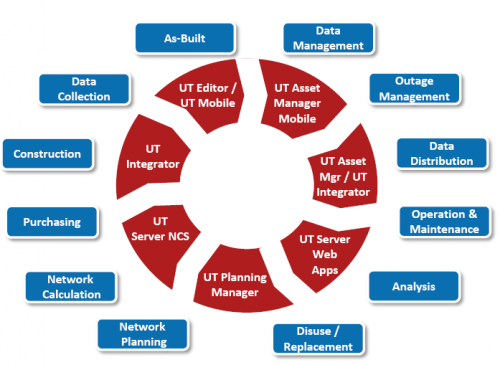 UT is standards based and can easily be integrated with existing IT applications for billing, work order management, and network calculation and SCADA technology for distribution and outage management. Capturing data in the field. Editing, updating and creating GIS data. Documenting the utility network plus related assets. Viewing & analyzing the network asset data. Operating the network with accurate GIS data. Planning network extensions and Handling maintenance of the network. Publishing and sharing GIS data through web maps. Integration with other, mission-critical IT systems. Server – UT web services to access your data. Integrator – Connecting with enterprise IT. Full Desktop – High-end editing and analysis. Smart Desktop – Asset management and mobile processes. Web Clients – UT workflows for browsers and smart devices. Extensions – Enabling specific utility requirements . The UT product suite provides one certified multi-utility data model, which can be extended to your own needs due to its unique configuration possibilities.